The MSc Gerontology (Distance Learning), which is recognised by the ESRC Doctoral Training Centre, offers the MSc Gerontology qualification from a distance and is designed for people who wish to study without travelling to Southampton. 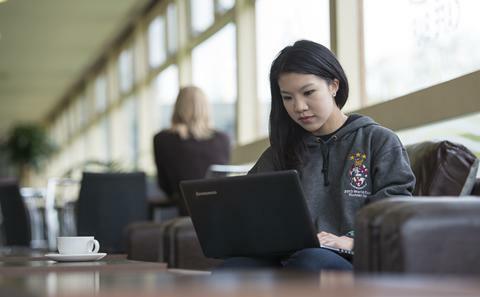 The programme is delivered through Blackboard, the University's virtual learning environment (VLE), where all learning resources are available and accessible at all times by students. As for the face-to-face programme, students on the MSc Gerontology (DL) take six modules plus the dissertation. The modules include research methods training. The MSc Gerontology (Distance Learning) programme offers you the opportunity to study gerontology from a distance, allowing you to access learning resources online in a flexible manner. Understanding the process of population ageing brings critical advantages to employees in a range of professional sectors, such as the health and social care, research, and the local and national policy sectors. The programme will equip you with academic knowledge in Gerontology, focusing on evidence related to the wellbeing of older people, and with policy knowledge relating to social policies aimed at preparing societies for ageing populations. In addition, the programme will offer you a range of training opportunities in research methods, both quantitative and qualitative. Part-time students take three modules in year one and three in year two. The dissertation is conducted in the second year and normally submitted submitted in January of the following calendar year. ‘You can’t hug Facebook.’ How is internet use associated with loneliness and social isolation among community dwelling older adults in England? A Home Away: The long-term residential care transition and adjustment experiences of older persons in Trinidad. Knowledge and practice of physiotherapists in Nigeria on falls prevention among older people. The attitudes of older persons, their carers and community leaders towards residential care for older persons in Uganda: A qualitative study. We welcome applications from students holding, or expecting to hold, a British bachelors (honours) upper second-class degree or higher, or the equivalent. Students on the part-time programme take three compulsory modules in year one, and two compulsory and one optional module in year two. The dissertation is conducted in the second year and normally submitted by the end of December in year two. The dissertation is 15,000 words long. The dissertation offers the student an opportunity to research a subject of their choice. A member of staff will provide supervision and guidance throughout the period of preparation and writing. On successful completion of the taught component of the programme and a 15,000 word dissertation, students are conferred the award of MSc Gerontology (Distance Learning). Those not undertaking, or failing to successfully complete, the dissertation are eligible for the award of PG Diploma in Gerontology (Distance Learning). Stationery You will be expected to provide your own day-to-day stationery items e.g. pens, pencils, notebooks, etc. Any specialist stationery items will be specified under the Additional Costs tab of the relevant module profile. Books Where a module specifies core texts these should generally be available on the reserve list in the library. However due to demand, students may prefer to buy their own copies. These can be purchased from any source. Please note that the vast majority of readings in Gerontology are available electronically through e-journals, as digitised text in the Online Course Collection or as e-books. Students on the DL programme receive key textbooks as part of their tuition fees at the beginning of the programme via post. Some modules suggest reading texts as optional background reading. The library may hold copies of such texts, or alternatively you may wish to purchase your own copies. Although not essential reading, you may benefit from the additional reading materials for the module. Equipment IT: Software licences - Licenses relating to software used in the programme (eg. SPSS, NVivo) are purchased by the University, and students can download them from the iSolutions website using their username and password. Equipment IT: Hardware - Students have access to workstations in the Hartley Library and in Computer rooms around the campus. Students may wish to purchase their own laptop/PC/tablet. Distance Learning: PC/ laptop. Students may also wish to purchase their own PC/laptop or tablet in order to access Blackboard. Headphones are sent to the Distance Learning students via post as part of their tuition fees at the beginning of their programme. Printing and copying For all GERO modules, coursework (such as essays, projects and dissertations) is submitted online. However, for some modules outside Gerontology, there are some items where students will be asked to provide a printed copy. A list of the University printing costs can be found at: https://www.southampton.ac.uk/isolutions/services/follow_me_print_for_students/faq.php#594. Distance Learning: For all GERO modules, coursework (such as essays, projects and dissertations) is submitted online. Distance Learning students are provided hard copies of the MSc Student Handbook, Module Outlines and other key learning materials (eg. How to Guides) via the post at the beginning of their programme, as part of their tuition fees. Conference expenses Where students wish to attend a scientific conference during their studies, they are liable for any associated accommodation and travel costs (as well as any conference registration fees). Other Students on the MSc Gerontology (DL) programme who are in receipt of Commonwealth scholarships are invited to attend a 4-day Residential Course in Southampton, for which the travel, accommodation and basic subsistence costs are covered as part of their Scholarship. Other Parking: For students not residing in Southampton, paid parking is available on the University campus. Maps of the campuses can be downloaded from at: https://www.southampton.ac.uk/about/visit/getting-to-southampton.page#by_car.